Mondelez India Foods Private Limited (formerly Cadbury India Ltd.) is a part of Mondelēz International, a world leader in biscuits, chocolate, gum, candy and powdered beverages. Cadbury Dairy Milk entered the Indian market in 1948, and since then for consumers across India, the word 'Cadbury' has become synonymous with chocolate. Mondelez India wanted a new platform to create engagement for the Valentine's Day seasonal sale campaign, without solely relying on a standard digital video marketing ploy. Seasonal marketing is extremely vital to drive product sales and e-commerce is essential to bring in young, millennial spenders. 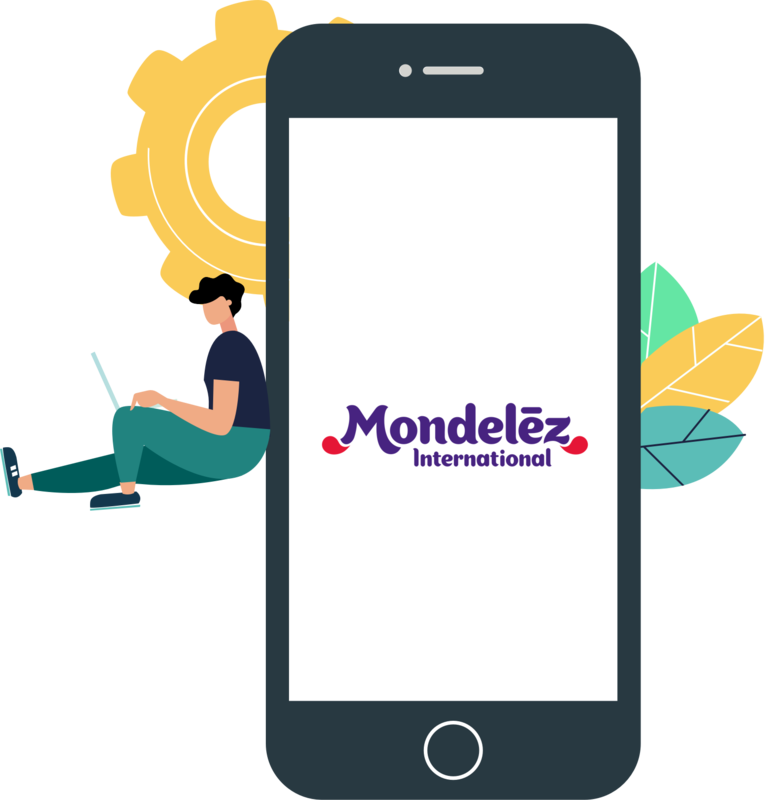 Banner ads and simply being available on online retailers wasn't enough and Mondelez India wished to create a conversation around the product with a short-term but high-return marketing campaign. To create a buzz around the campaign, a dedicated channel “Valentine’s Special Store” was created on the Haptik platform with the Valentine's Day branding. Once a user entered the channel, they were taken to the customised Valentine's Store chat flow which was designed to fit with the romantic theme. Mondelez India’s chatbot helped the consumers navigate through the store. The chatbot generated interest in the products and even gave non-purchasing users a takeaway with cute Valentine's Day tips and suggestions to impress loved ones that amplified the brand's Presence. This staggered method of presenting the product created a conversation about the brand and resonated well with the highly-coveted millennial audience in the 25-40-year-old age Group. The campaign overachieved its target by 56% within 10 days of being live and saw a conversion rate of 12.9%. 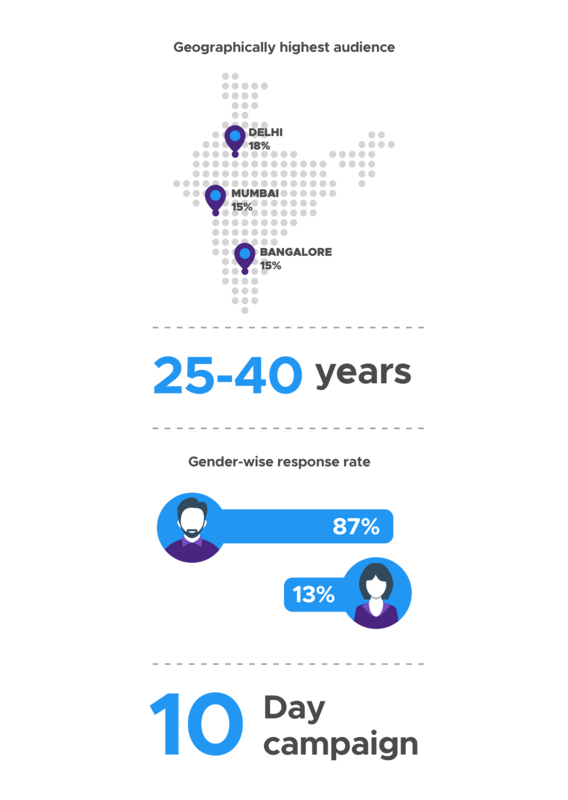 Re-engage your audiences with chat based ads on India’s largest publishers. We partnered with Haptik for Valentine’s Day & this was our first foray into using AI/Chatbots to drive engagement & sales. Haptik gave us the perfect platform to connect with millennials who look for gifting solutions around occasions like Valentine's Day. The overall results have been extremely encouraging seeing that we have exceeded all our benchmarks with respect to revenue & media deliveries.